This blog tagline is “Ramblings of a Jane Austen Addict” because that is all I claim to be. I am not a critic or even a reader that likes to write reviews (even though everyone should write a review on Amazon and/or Goodreads so other readers can find more amazing reads). What I really love is sharing and connecting like-minded people, even or maybe especially, if they live in different countries. That gives me a sense of accomplishment and the feeling that I can someday travel to those destinations. I would never imagine that Jane Austen would make me travel so far (literally and figuratively speaking), sometimes even without leaving my cozy couch. But she sure did. I have made many friends all over the world and met some in person already, thanks to the internet highway and the universal love for Jane, her novels and her beloved characters. Even the ones we love to hate! LOL! This preamble is just to explain why I invited Soniah Kamal to stop by my blog and answer some questions instead of rambling on and bore everyone like Lady Catherine sitting on her “throne”. If you want a thorough review just follow the link below where Ilana Masad does a great job for npr.org book reviews (National Public Radio). I was born in Karachi Pakistan, a city I have never lived in. At six months of age, my family moved to England where, I’m told, i guzzled down my first full bottle of milk. At nine years of age, we moved to Saudi Arabia where I attended an International School with a library which would make all the difference in my life. At sixteen, back to Pakistan for five years of patriarchal delight, but where I also first read Pride and Prejudice and decided that one day, if i could, i was going to reset the novel in Pakistan. A few years on, I attended college in the U.S., met a lovely man my final year, proposed to him, we married, and two decades later we are still here. How was your first encounter with Jane? Was it a movie or a book? When I was fourteen, My Aunt Helen gave me a gorgeous red and gold hardback copy of Pride and Prejudice (1977 edition, Purcell) with ‘color plate’ illustrations. It’s sits in my bookshelf to this day, surrounded by Austen’s works and books on her. What’s your favorite novel? If it p&p what is your second? Mansfield Park! It is Austen’s grimmest as she completely shreds all notions of functional families. Mrs. Norris may be a good Aunt to Maria Bertram but she is despicable to Fanny— so will the real Mrs. Norris please stand up? Also, though many readers find Fanny insipid, I think she’s a very brave and headstrong girl. She spurns Henry Crawford’s proposal and does not allow even the imposing Sir Thomas Bertram to dissuade her. The opening sentence of Unmarriageable is a nod to Mansfield Park. In fact, Unmarriageable contains nods to all six of Austen’s completed novels. Darcy forever or you have another favorite hero? Mr. Knightley. I respect him for not letting Emma get away with being rude to Ms. Bates, his friendship with Robert Martin, his kindness to Harriet by asking her to dance, his general decency. I’m not really a huge Darcy fan, though polluting the shades of Pemberley is very tempting. How did you have the idea for Unmarriageable? The moment I finished reading Pride and Prejudice for the first time at age sixteen, I knew I wanted to set it in Pakistan. I didn’t know then that what I was thinking of doing was called a parallel retelling (or that there were also variations and continuations). I was schooled in English in Pakistan and Saudi Arabia and the books I grew up on were novels by Enid Blyton, Judy Blume, S.E.Hinton etc. I wanted to read something where my own culture was reflected. However there were no stories set in Pakistan in English for kids that I was aware of and so it became second nature for me to convert what I was reading into ‘Pakistan’. So scones became samosas, ginger beer became mango juice, and boarding schools like Blyton’s St. Clares or Malory Towers relocated to the Murree Hills. Thus reading Pride and Prejudice and wanting to reset it in Pakistan was quite normal for me. I made myriad attempts over the years to write it but kept getting intimidated until, finally, I wrote the entire novel in a two month frenzy. Colin or Matthew as Darcy? Colin Firth every single day forever and ever and ever. Favorite adaptation, 1995 or 2005? 1995. 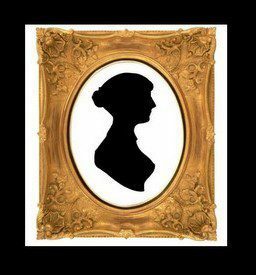 It is sheer perfection— Mr. Collins’s creepy wave, Lady Catherine de Bourgh’s beaky nose, Mrs. Reynold’s no nonsense adoration of a young Darcy; there is not a single thing I wish were different except that would it have been double the time. I am, however, waiting to see if any remake, as enjoyable as they may be, can ever top 1995. A story about five sisters, their friends, frenemies and enemies and too many marriage obsessed mothers, set in contemporary Pakistan where drinking chai seems the national pass time and eating good food a full fledged sport. What’s the coolest thing that has happened to you since you started this Austen adventure? Without a doubt narrating Unmarriageable for the audio version (sample). It will be, by far, one of the highlights of my life! When the audio rights first sold, I refused. Then, a year and a half later, Linda Korn, the executive producer at Penguin Random House Audio, asked me. She’d listened to my TEDx talk about being forbidden to pursue acting and my regrets at not rebelling, and she said that narrating the novel would be like coming full circle: acting and writing. I really appreciated this connection and decided to give it a go. Soniah Kamal’s debut novel, An Isolated Incident, was a finalist for the Townsend Prize for Fiction and the Karachi Literature Festival-Embassy of France Prize. Her TEDx Talk is about regrets and second chances. Soniah is also Member of JALF Literacy Ambassadors since July 5, 2018. Unmarriageable is her new book by Ballantine Books , an imprint by Random House, a division of Penguin Random House LLC, New York. Please leave a comment at the end of this post to say why you want to win Unmarriageable. Giveaway ends Saturday, February 2nd. Winner will be announced the next day (Sunday, February 3rd). *ONLY THOSE WHO SEND AN E-MAIL WILL BE PARTICIPATING THE GIVEAWAY! I would like to thank Soniah Kamal for her time and candid answers. It is such a pleasure and an honor having her here in my blog. If you have not clicked on the TEDx Talk link above check out Soniah’s talk at Georgia State University below and learn more about her amazing journey. Remember to sign up to receive emails to get the next giveaways delivered directly to your inbox. I am so excited to read this interview! I received a galley copy of this book as a gift and after reading this interview I am even more excited to read it. Also born to Pakistani parents but in the US, I have gone back several times and am so intrigued to see how she used the setting of Pakistan to tell the story. Really looking forward to reading the book soon. I would love to read this being such a Jane Austen fan. I look forward to reading different authors.